Water covers up to 71 percent of the Earth’s surface. However, only 2.5 to 3 percent of this water is actually fresh. In fact, just over 1 percent of our planet’s freshwater is readily accessible. When it comes down to it, merely 0.02 percent of Earth’s water is drinkable. According to the United Nations, over 700 Mn people in 43 countries (approx. one-fifth of the world’s total population) are currently subjected to the curse of water scarcity, with another 500 Mn living without adequate access to clean water. As per the predictions of the UN, by 2025, nearly 1.8 Bn individuals will be residing in regions of absolute water shortage. If things continue the way they are at present, almost half of the world’s population will live in high water stress areas by 2030. Globally, agriculture accounts for up to 70 percent of all freshwater withdrawals, followed by 20 percent for industries. Around 10% remains for household and municipal usage. Given that each year is adding an average of 80 Mn people to the world’s population, the consumption of water, as well as resources required for its purification, have grown tremendously over the last several decades. To give you a clearer picture, an average American household consumes more than 300 gallons of water every day. A 2014 Government Accountability Report estimates the daily freshwater consumption of each American at 88 gallons. Exacerbating the problem is the burgeoning global issue of water pollution. For instance, approximately 1.2 Tn gallons of untreated water – including sewage, industrial waste, and sewage – are routinely dumped into the US waters every year, as per the US Environmental Protection Agency (EPA). More alarming perhaps is the estimation by the WHO/UNICEF Joint Monitoring Programme (JMP) for Water Supply and Sanitation, according to which 1.8 Bn people across the globe currently drink fecally-contaminated water. Some of the biggest contributors to water pollution worldwide include toxic industrial/chemical waste, fertilizers, pesticides, and plastics, among others. Purification of water is, in turn, a highly energy-intensive process, generating over 45 Mn tons of greenhouse gases annually as per the EPA. The situation is even direr in developing nations, where about 90 percent of all waste ultimately reaches freshwater bodies like rivers and lakes without proper treatment. Home to over 1.32 Bn people, India is a country best known for its diverse culture, sumptuous food, and rich history. An emerging global power, there’s a lot that India is doing right. However, slumped under the burden of overpopulation, poverty, and lack of awareness, a large section of the country’s population continues to live without adequate access to basic amenities like clean water and electricity. Despite the government’s sustained efforts to enhance living conditions, nearly 75 to 80 percent of India’s surface water is suspected to be contaminated with toxic pollutants, according to a study by WaterAid. The problem of water pollution is so acute in India that it is considered to the main cause behind 21 percent of all diseases in the country. One of the largest sources of water pollution in India is untreated sewage that creeps into most rivers, lakes and other water bodies. In addition to suffering from the effects of pollutions, people of rural India continue to struggle with crippling water shortage. In fact, over the last 50 years, per capita availability of freshwater has dropped from 3,000 to a mere 1,123 cubic meters. Compared to that, the global average stands at 6,000 cubic meters. 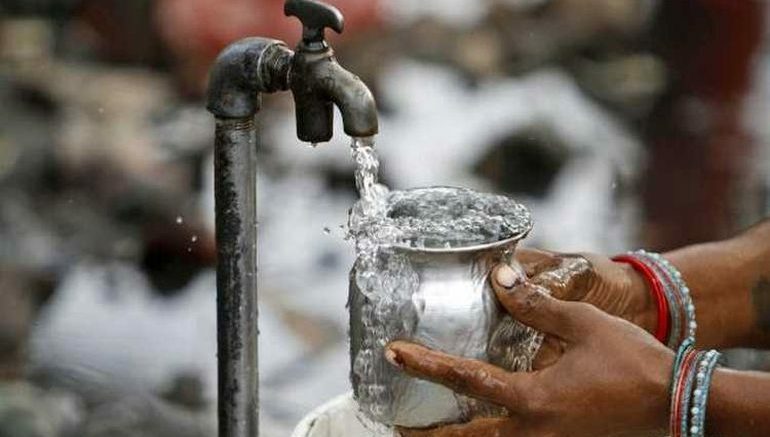 Currently, more than 100 Mn homes in the country live in households that lack sufficient access to clean water. In the last few years, a number of brave hearts across the country have taken matters into their hands, fighting to reinstate the right of millions of Indians to clean, drinking water. Meet Sui Singh, a 13-year-old valiant soul who lost her grandfather because he drank contaminated water. Moved into action after the tragedy, Sui along with her sister founded ‘Praandaahar’, an NGO that currently works to install water purifiers in rural parts of Delhi where there’s contaminated water or water shortage. To achieve this feat, Sui raises funds through bake sales, donations, corporate funding, and fundraisers. Since its inception, Pranaadaahar has been instrumental in enhancing access to clean water in areas where up to 70 percent of the available water is unsafe for drinking. Padma Venkat is another woman who is fighting for the same cause. Along with her team at Bengaluru’s Transdisciplinary University (TDU), Venkat has been working to develop low-cost water purification solutions that could be availed by low-income groups across the country. The group has already built TamRas, a portable water purifier that is based on the traditional Indian practice of storing water in silver or copper containers. Created with help from McGill University and funded by the Grand Challenges Canada grant, the water purifier relies on the antibacterial properties of copper, a micro-element that is essential for the human body’s various physiological functions, to eliminate bacteria and other microbial contaminants from water. What’s more, each unit has an incredibly low price of $23.5 9 (INR 1500). Crippled by severe drought, the South Indian state of Tamil Nadu is believed to be facing the worst water crisis in over 140 years. According to some reports, the state’s reservoirs are currently filled to only 6 percent of their total capacity, a drop of more than 81 percent from the period a decade ago. Curiously, there’s one village in the state that boasts sufficient availability of usable water. Located near the capital city of Chennai, Adigathur now has around nine ponds, which were interestingly built through the initiative of a single woman. The woman in question is Sumathi. Disheartened to see her own village reeling under drought, Sumathi decided to take matters into her own hands. After being elected as the Panchayat President in 2006, she started looking for solutions to the village’s acute water scarcity problem. Inspired by Stockholm Water Prize winner Rajendra Singh, who is also celebrated as the “waterman of India” and Rajasthan for that matter, Sumathi dug multiple ponds and lakes, which in turn caused the groundwater level to increase gradually. Neeraiyum Seeraadu – “treat water as precious” – is an old adage from Tamil, one of the oldest languages originating from the Indian subcontinent. Suffice it to say, mirroring the old proverb, India boasts a legacy of devising water treatment methods from the ancient times. Historically, Sanskrit (Vedic) writings dating from circa 2000 BC documented the use of sand and gravel-based filtration systems for higher quality and better tasting water. Varāhamihira, the 6th century AD Indian astronomer and mathematician, mentioned the ingenious technique of locating clean water sources (usually dug out in dry river beds) through the identification of specific trees in the area. Naladiyar, a Tamil anthology dating from 8th century AD, mentioned the use of flowers, including the native Paathiri, that was believed to endow fragrance to small water deposits. This practice has endured in many parts of South India, where residents keep mud pots filled with water that is additionally infused with the Vettiver (or Paathiri) flower varieties. However, beyond the scope of fragrance and in the realm of practicality, modern India has had its fair share of predicaments when it comes to treatment and supply of clean water. For example, a startling statistical figure from 2008 reveals how over half of India’s population possibly don’t have access to improved sanitation facilities. But as the video aptly alludes to the hope and innovation we can all take inspiration from, statistical numbers have also revealed how rural sanitation coverage in the country has grown over 20-fold in the space of the last 40 years, while access to clean water has increased significantly from 72 percent in 1990 to 88 percent in 2008. Many of these undeniably positive changes were brought on by ‘soft’ approaches based on simple but effectual policies rather than time-dependent alteration of infrastructural lines. One pertinent example relates to the Swajaldhara program initiated by the government in over ten Indian states, in 2002. The initiative basically decentralizes service delivery channels in favor of relegating the responsibilities to local administrative bodies and even user groups. Simply put, the policy banks on an adequate tariff (that can cover operational and maintenance costs), complemented by training programs for local communities. According to a World Bank study, Swajaldhara results in lower costs pertaining to both capital and administrative scopes while offering better service when compared to the conventional supply-driven approach. When translated to numbers, the study found that the average full cost of supply-driven schemes are 59.3 cents per cubic meter, while it is only 40.5 cents per cubic meter for demand-driven schemes. Other similar noteworthy initiatives across modern India include the KUWASIP (Karnataka Urban Water Sector Improvement Project) that was successful in increasing the water supply from a paltry once every 2–15 days for 1–2 hours, to a continuous 24 hours per day for up to 180,000 people (across three different towns); and the microcredit-based water connection system initiated by NGO Gramalaya in Tamil Nadu that allows women to sell surplus water to neighbors, thus adjusting the supply while also creating local part-time employment opportunities around delivery of clean water. With revenues of over $36 Bn (in 2014), 120,000 employees, and subsidiaries in at least 26 major countries, Mitsubishi Electric is a veritable giant. The Japanese multinational is one the world’s major producers of solar panels. And complementing this green initiative, the company is known for its expertise in various electrical equipment and mechanisms, ranging from effective elevators, air-conditioners, heat-pumps to state-of-the-art robots, telescope antennas, and proton-based treatment systems. Pertaining to the conscientious scope being focused here, it doesn’t really come as a surprise that Mitsubishi Electric also dabbles in water treatment technologies and facilities. To that end, the company has been manufacturing their proprietary ozone-based water generators (over 1,700 units) for the last 45 years. These highly efficient mechanisms use the advantageous quality of ozone that relates to its minimal environmental impact. The effectiveness is bolstered by the inherently strong oxidizing properties of ozone that not only tackle harmful bacteria and viruses, but also scale down elements of iron, manganese, and sulfur. And last but not the least, ozone mitigates unpleasant tastes and odors in water (as opposed to conventional chlorine), while additionally having the ability to revert to oxygen and thus not leave any trace. Interestingly enough, when it comes to innovation, Mitsubishi Electric scientists, in collaboration with Yamagata University, also successfully devised prototypes of a new water treatment mechanism in 2015. The core technology is based on the hydroxyl (OH) radicals that are generated via the electric discharge conceived at a gas/liquid interface. According to the experts, their modular solution – to be utilized for treating large-scale industrial wastewater and sewage – can potentially be twice more effective than currently-used advanced oxidation processes. Essentially, it translates to a low-cost mechanism for that significantly reduces the consumption of oxygen (by around 90 percent) due to the incorporation of gas recycling. Too often, we rely on the government and other authorities to bring change in the society. However, as Sui, Padma, and Sumathi have shown, each individual has the responsibility of making the world a better place for generations to come. Their inspiring tales serve as motivation for those around us, including organizations like Mitsubishi Electric, to do our bidding to help India overcome the crippling effects of water shortage and contamination and improve access to clean water. So, let’s start a discussion and join hands to make a collective social impact. Tell me what stories of good are happening in your local communities? To learn more about Mitsubishi Electric’s water purification initiatives, click here. This is a sponsored conversation written by me on behalf of Mitsubishi Electric. The opinions and text are all mine.